Anja is a graduate of The British School of Osteopathy. After five years of comprehensive training she gained a Masters in Osteopathy. Anja has also completed a diploma as a Sports Injury and Massage Therapist, postgraduate training in Cranial Osteopathy and Western Medical Acupuncture. She also holds a valid First Aid Certificate. Anja’s inspiration to work in healthcare has come from the numerous injuries she endured during her formative years as a national gymnast and her career as a professional dancer/instructor. She appreciates what it feels like to be in pain and to be injured, as well as having a deeper understanding of a large range of physiological conditions, ranging from acute injuries to chronic complaints and pathological conditions. The combination of her personal experiences and her academic medical training is what she uses in the quality of her bespoke treatment she provides for her patients. Anja’s patients range from children to the elderly, her oldest patient being 92 years old. She truly believes that osteopathy can be beneficial for all, with each treatment individually tailored to each person. 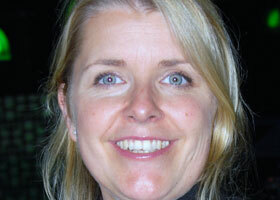 Her specialist interest lies in paediatrics, sports/activities and most recently in treating the hypermobile patient. Anja encompasses appropriate advice and self-help exercises into her treatments as she believes and appreciates this is fundamental to allow patients to truly understand their symptoms better. The relief this may provide will help them in their recovery or management and fulfill their bodies full potential. Anja moved to England in 1993 from Denmark. She now lives an active life in Surrey, mainly around her two children’s busy schedules, but also with the odd yoga session thrown in. Anja is registered with The General Osteopathic Council and is a member of The British Medical Acupuncture Society and The Institute of Osteopathy.